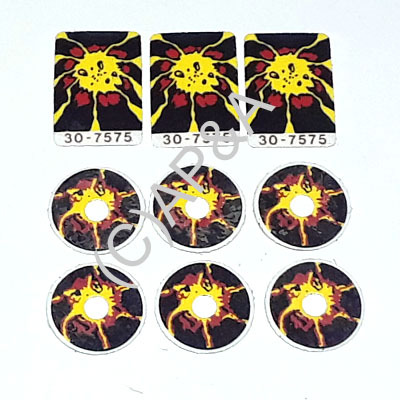 9-piece set of decals for the drop targets and round standup (stationary) targets on Williams Sorcerer pinball. Easy to install- just peel and stick. Drop target decals replace original part # 30-7575.